Venturi tubes are reliable, easy to use and low-maintenance Venturi tubes are particularly suitable for the measurement of clean liquids and gases. 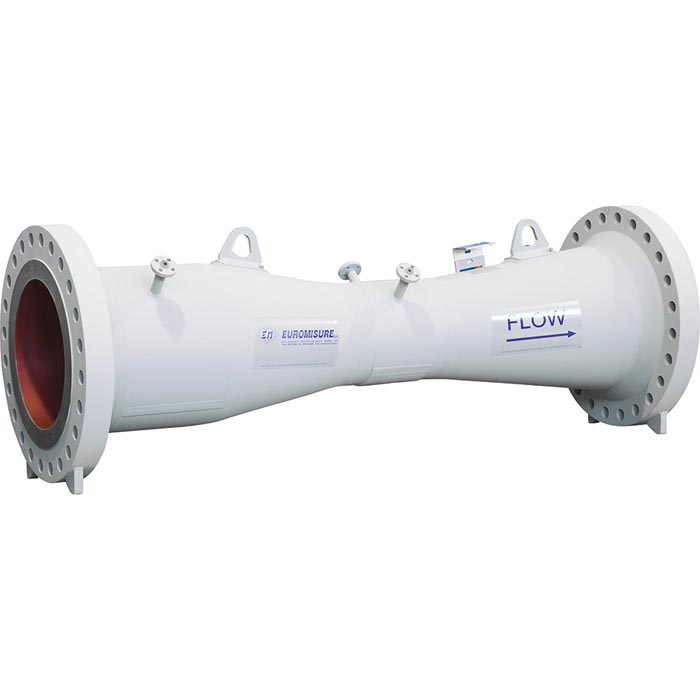 The main advantages of a Venturi tube over other differential pressure flow meters are the higher pressure recovery and the lower upstream and downstream pipe requirements. At the upstream side, the instrument consists of a gradually decreasing nozzle, through which the medium in a pipe is accelerated. The downstream side is a gradually increasing diffuser section, which enables a high pressure recovery. Due to the fact that a major part of the output pressure is regained, the Venturi tube is particularly suited for measurement in systems with a low pressure differential. Thanks to the low pressure loss the cost of pumping the medium can be reduced to a minimum.